This is the last in a series of 3 posts exploring the impact of organisational behaviour and procedures on reliable, consistent and accurate data in medicines manufacture. The first post looked at the impact of organisational behaviour and the second post discussed ways in which systems can be designed to assure data quality and integrity. The use of ‘trial injections’ in chromatographic tests to verify stability of the analytical set-up is a recurrent theme reported as grounds for regulatory action. This practice is particularly concerning where the ‘trial injection’ is a product sample, whose results are then discarded or retained under a different file structure to other results. In these circumstances, data integrity is undermined, particularly if the result obtained from the trial injection failed to comply with specification. At the very least it asks serious questions regarding analyst understanding of data integrity, quality system design or managerial response to undesirable results. In cases where analyses run over an extended period, it may be understandable that the analyst would wish to verify that the analytical system is operating as expected before committing the full system suitability and sample set. Where there is management agreement that verification of analytical system stability is required prior to system suitability checks, there are some basic considerations which can address the data integrity concerns. The practice needs to be consistent with the company’s data governance system. The system stability check must be proceduralised as part of the approved method or standard operating procedure (SOP), with corresponding guidance on the assessment of the results, and all data (including system stability check samples) should be reported. Importantly, a sample of the product batch under test should not be used for the system stability check. An independent, well-characterised sample or standard will fulfil the analytical requirement without raising data integrity concerns relating to ‘testing into compliance’. 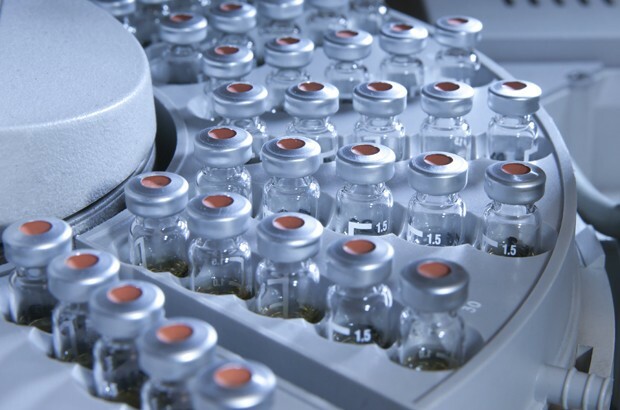 A robust laboratory data governance approach will also include periodic reconciliation of analytical sample runs, to confirm that there are no concealed trial injections or modified sample runs. In the first post of this series I described how omitting one aspect of the data lifecycle weakens the effectiveness of other governance measures. The same principle applies to the supply chain. A failure at one site weakens all sites downstream in the chain. To keep the supply chain moving, organisations need to place reliance on summary reports – batch records, analytical data, validation reports etc, especially in relation to outsourced services. It is therefore important to use supplier audits as an opportunity to build confidence in these summaries provided on a routine basis. What is the contractors organisational culture and maturity relating to data governance? What systems do they have to ensure data integrity? Data governance is an integral part of the pharmaceutical quality system, with effort and resource being balanced in accordance with other risks to product quality. As such, manufacturers and analytical laboratories are not expected to implement a forensic approach to data checking on a routine basis, but instead design and operate a system which provides an acceptable state of control based on data criticality and inherent risk. Data integrity requirements apply equally to manual (paper) and electronic data. Reverting from computerised to paper-based systems will not in itself remove the need for data integrity controls. The implementation of effective behavioural, procedural and technical steps based on a clear understanding of risk will ensure that the system will encourage the right behaviours, improve compliance, and provide greater assurance of product quality. MHRA has published more detailed guidance on data integrity expectations, which builds on the behavioural and procedural topics covered in this series of posts. Should add a "Print" command to ease printing of this document.